Seasoned travelers and alike remind you to get travel insurance before the getaway that covers missed connections, delays, lost bags, medical and more. Although a lot of government/airline laws & regulations offer compensation, they are limited to lost bags or longer delays, but for most of them, you’re on your own. For example, there’s no government or airline compensation if you suffer a long tarmac delay or a missed connection, although the airline might get fined if they don’t offer to deplane you after three hours, but none of that sees its way into your pocket. With all the loopholes and “conditions apply” policies, you have to fill out forms, make calls and all you get in return is peanuts! But a new company from the people who started TravelGuard travel insurance (now part of AIG insurance), is trying to cover everything that is not covered elsewhere, with minimal effort on the part of the insured. 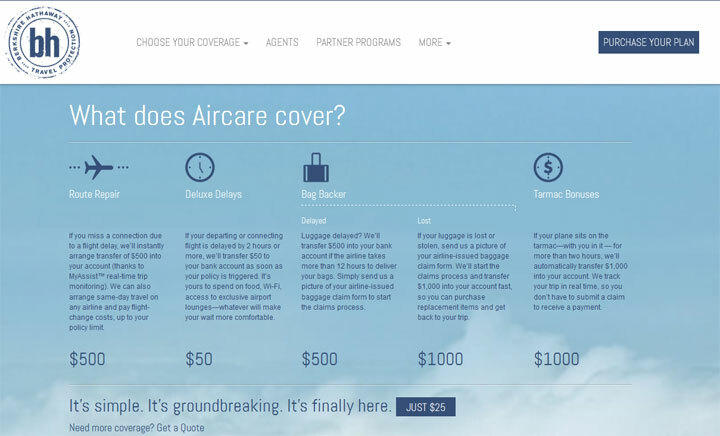 Airlines require receipts and documents to be able to reimburse you for lost or delayed bags, but with AirCare, compensation is in addition to whatever you might eventually collect by complaining to the airline or from a travel insurance policy. And if there’s a missed connection, airlines will put you on the next flight if there are seats, but often there aren’t. And they won’t pay for hotel rooms if you’re stuck overnight. $500 could come in handy. Remember that the benefits are cumulative, which means you for all the above-mentioned reasons, you will get a total compensation. For example, if your flight is delayed and then you’re stuck on the tarmac for two or more hours, you get $1050. Miss your connecting flight as a result, and it’s $1550. Of course, there are things that are not covered too. AirCare doesn’t cover you merely if your flight is canceled, or if the airline announces a schedule change far in advance of departure requiring you to purchase an overnight hotel stay in a connecting city. Also, it currently applies only to domestic flights, not international ones. 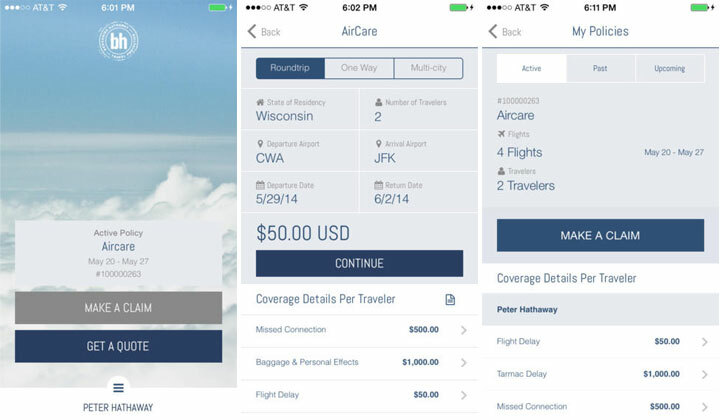 AirCare automatically tracks your flight. So for any reason that is covered by AirCare, they will know and you immediately get the money. Then they’ll help arrange (but not pay for) same-day travel on any airline. To start a claim for delayed bag delivery, you just send a picture of your baggage claim form to start the claims process. Same process if your bag is lost or stolen. And if you’re stuck in the plane, AirCare will have tracked your trip in real time and automatically transfer $1000 into your account. It won’t get you in the air faster, but it will help ease the pain. Also included is a travel assistance concierge service to help find hotels, rental cars, and alternate flights if something goes awry with your travel plans. Download their app to submit claims and manage your account.